Summary: Castle Crenshaw learned to run fast the night his dad got drunk and fired a gun at him and his mom. They ran fast enough to get away, and his father went to jail. That was three years ago, but Castle hasn’t gotten over it. He doesn’t like to go home after school to an empty house. He refuses to sleep in his bedroom, opting instead for a pile of blankets on the living room floor, while his mom dozes on the couch. And he has a lot of anger inside that sometimes pushes him to do things he later regrets. 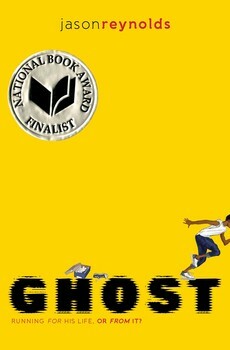 When he stumbles upon a middle school track practice and ends up beating one of the fastest sprinters, his life begins to change. He gets a place on the team, a new nickname, “Ghost”, and a coach who grew up in the same neighborhood Castle did and understands his anger. It’s one step back for every two steps forward Castle takes, but by the last chapter, it looks like Ghost has found his place on the team. 192 pages; grades 5-8. Pros: Castle’s voice tells his story in a strong voice with plenty of humor and wry insights into his situation. Sports fans will love this, but so will anyone who enjoys rooting for a likeable underdog. 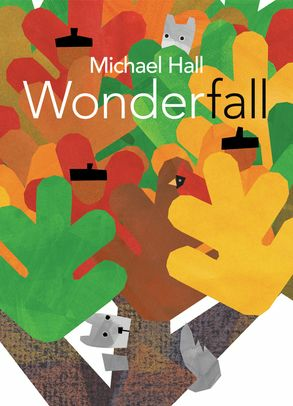 A National Book Award finalist for Young People’s Literature, and, in my opinion, a strong contender for the Newbery committee to consider. Cons: The last page…nooo! The sequel can’t come out soon enough. 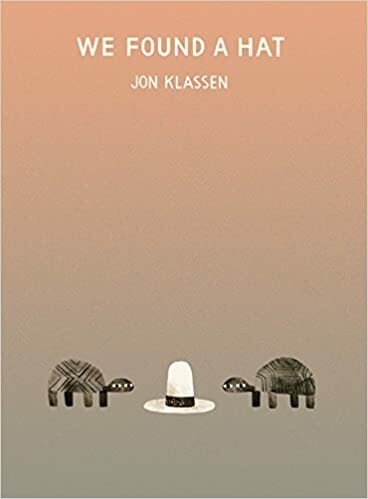 Summary: Two turtles find a hat lying in the desert. They each try it on. It looks good on both of them. But there are two turtles and only one hat. So it only makes sense that they would walk away and leave the hat behind. Right? But one of the turtles can’t stop thinking about that hat. Night falls, and one turtle is falling asleep. The other one waits until his companion is dreaming, and then…. 48 pages; ages 4-8. Pros: The hat trilogy is now complete, with this book finishing what I Want My Hat Back and This Is Not My Hat started. The deadpan humor, the intrigue, the ambiguous ending, and unique illustrations are all part of this one as well. Cons: Unlike the other two, the ending is ambiguously happy. While this might sound like a “Pro”, kids love those surprise endings. Did the bear really eat the rabbit? Did the big fish eat the little fish? This ending seemed a little too pat for this particular series. 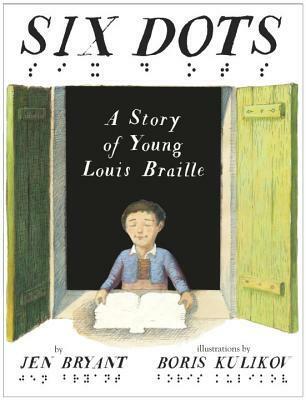 Summary: Louis Braille tells the story of his life, beginning with his early childhood, a bright, curious boy growing up in a loving family. At a young age, he injured his eye with one of his father’s leatherworking tools. The eye got an infection that spread to the other eye, and he became blind. Fortunately, his family continued to support and educate him, eventually sending him to the Royal School for the Blind in Paris when he was 10. Louis loved to learn, and his most fervent wish was to read. But books at his school were rare, and they only had a few words on each page. One day, his teacher told the class about a military code that could be read by touch. Inspired, Louis decided to come up with his own code. After a few years of hard work, he was ready to demonstrate his invention to the school’s headmaster. The man read Louis a page from a book, while Louis copied it down, then read it back to him. He had created the Braille alphabet, still used today to allow blind people to read and write. 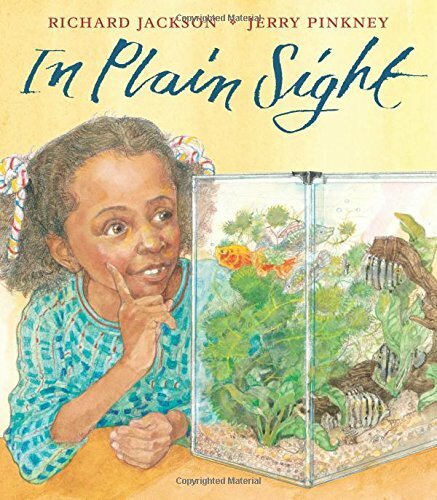 The final pages include an author’s note about how she came to write the book, questions and answers about Louis Braille and his invention, and additional resources about both. The Braille alphabet appears on both the front and back endpapers. 40 pages; grades 1-4. Pros: The inspiring story of Louis Braille is told in his own voice in a way that is accessible for young readers. Cons: The way Louis loses his eyesight is horrible. 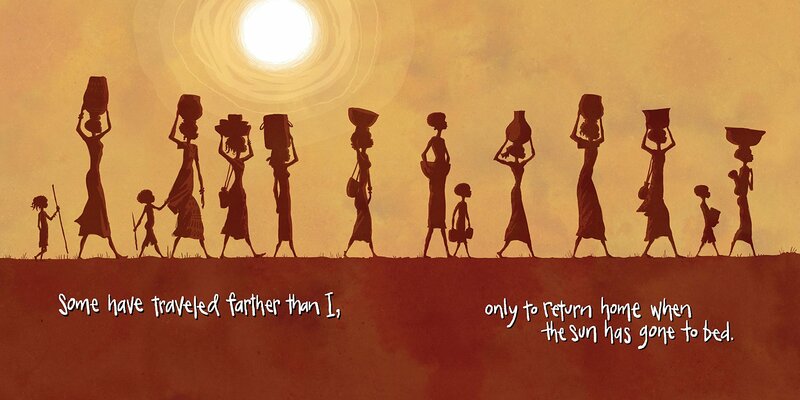 Summary: Every day, the narrator goes with her mother to fetch water. They start before dawn, and it’s late in the day when they get back. The water is a dusty earth color and must be boiled before it can be drunk. Despite these hardships, the girl’s family is happy. Her mother sings as they travel to get the water, and her father gives her a warm greeting when he returns from the fields. When she goes to sleep, her mother tells her to dream of someday when they will have clear, cold water nearby. The last two pages tell more about the need for water for many people. 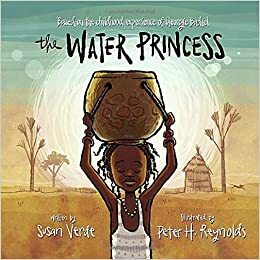 Links are provided to the Georgie Badiel Foundation, named for the supermodel who based this story on her childhood in Burkina Faso, and Ryan’s Well, an organization founded by a young Canadian boy. Both groups are working to build wells in Africa and bring clean water to the people there. 40 pages; grades K-3. Pros: An eye-opening look at a difficult problem for many people around the world. 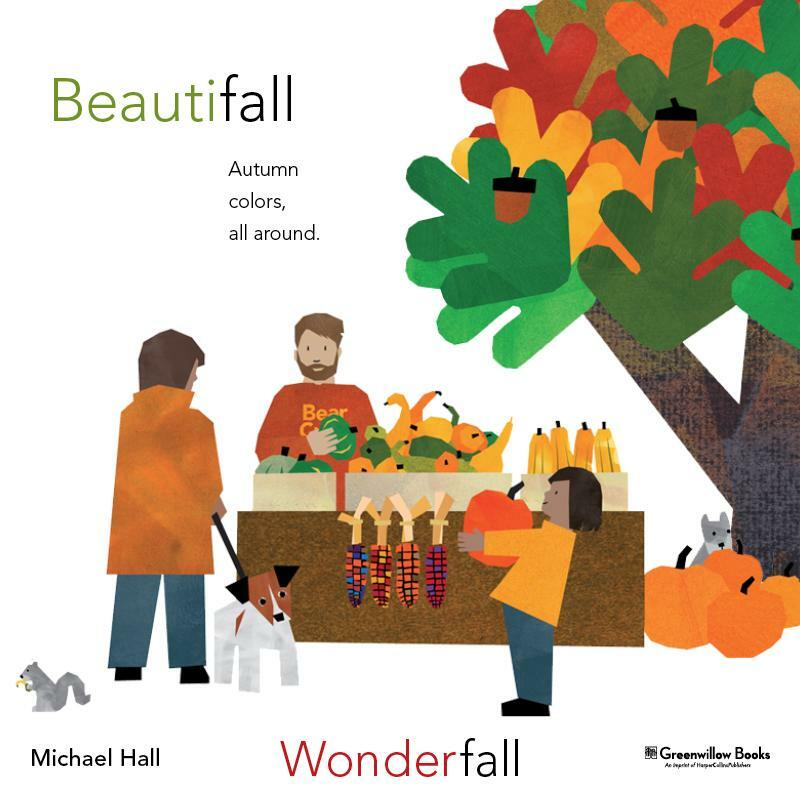 The illustrations are charming, and readers may be inspired to help out through the two organizations listed at the end. Cons: That this situation exists in the world today. Summary: Ever since Henry got Leo the lion for his second birthday, they have been inseparable friends. One day, the family decides to go for a walk in the woods. Henry is happy, because he knows that Leo loves the woods. 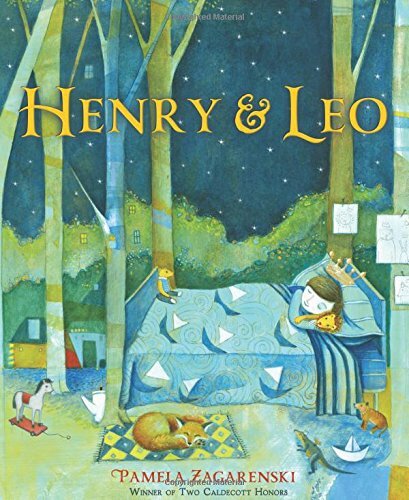 His sister tells him that Leo isn’t real, but Henry knows better. By the time the family gets back from their long trek, Henry is falling asleep on his father’s shoulders. As soon as he gets into bed, though, he realizes something is wrong. Leo is missing. The family goes searching, but no Leo. Henry’s mother tries to tell him that Leo isn’t real. 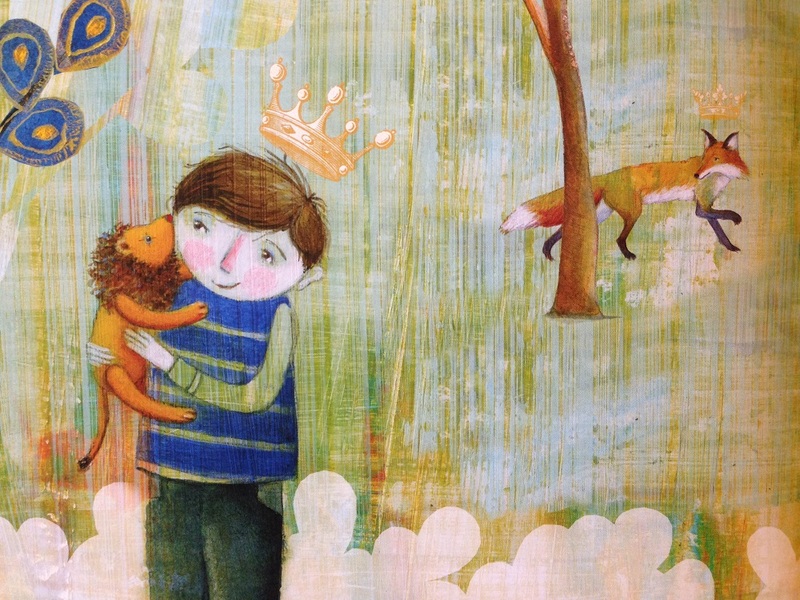 On the next several wordless pages, we see Leo being discovered by the forest animals. They work together (with the help of a compass) to figure out where Leo belongs, and to get him as far as the front yard. In the morning, Henry is overjoyed to see Leo. Henry’s father and sister are puzzled, certain that they both looked in that very spot the night before. 40 pages; ages 4-8. 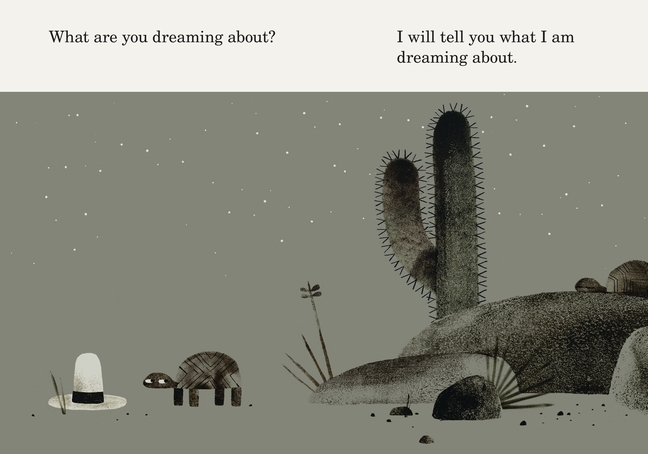 Pros: A worth companion to Knuffle Bunny, this beautifully illustrated story will resonate with anyone who has ever loved and lost a favorite toy.